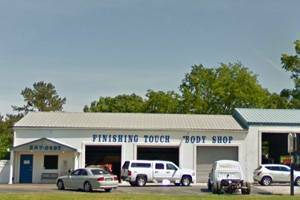 Our body shop in Cullman uses the latest professional auto paints by PPG to get you on vehicle looks new again. Check out our gallery to see examples of some the auto body repair work we have carried out in the past! Whatever your auto body repair needs, look no further than Finishing Touch Body Shop & Detail, get in touch with us today! Finishing Touch Body Shop & Detail, has years of experience serving the Cullman, AL area and surrounding communities. We not only pride ourselves in our expert knowledge of collision repair and maintenance here in Cullman but also in our excellent customer services too! We understand that accidents and collision repair can be a cause of great stress. We are here to help you along the process. We work with you and your insurance company to get your vehicle back on the road quickly and as safe as its pre-collision condition. We also have a full service detailing department. Call or stop by for more information. Finishing Touch Body Shop & Detail Offers 24 Hour Towing!